Client Situation - The client is a market leader in IP based networking equipment. The client’s L1 and L2 support teams handled support calls from their customers. The support teams faced challenges in delivering support due to narrow support boundaries, controls and insufficient information accessed by the support agent. The client’s tiered support model faced a few more challenges too. The narrow support boundaries in issues escalated to the L2 team, increasing the workload of the L2 team. The escalations had a negative impact on their support performance. The escalations resulted in prolonged turnaround time. 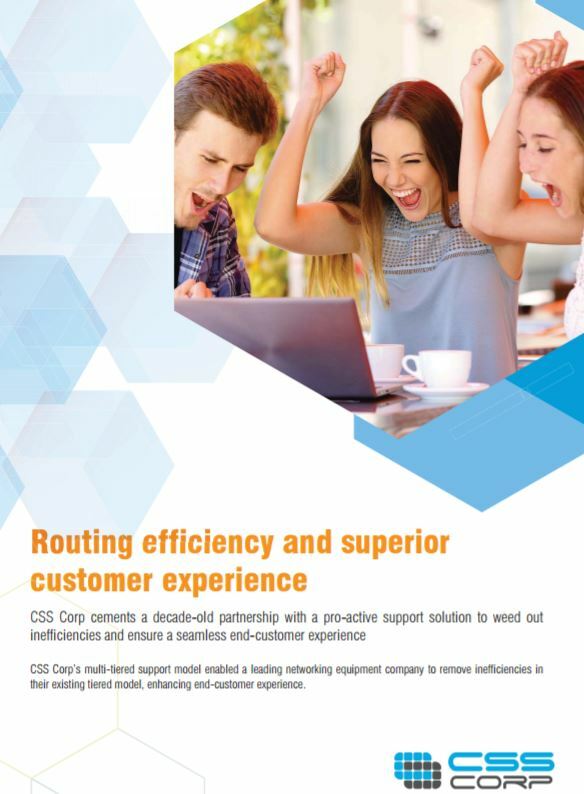 With more than a decade old partnership, the client turned to CSS Corp to improve overall customer experience by providing superior support. About Client - A market leader in IP-based networking equipment, specializing in web and video conferencing.